Blog Quick Quotes: Barn Critters with Connie! 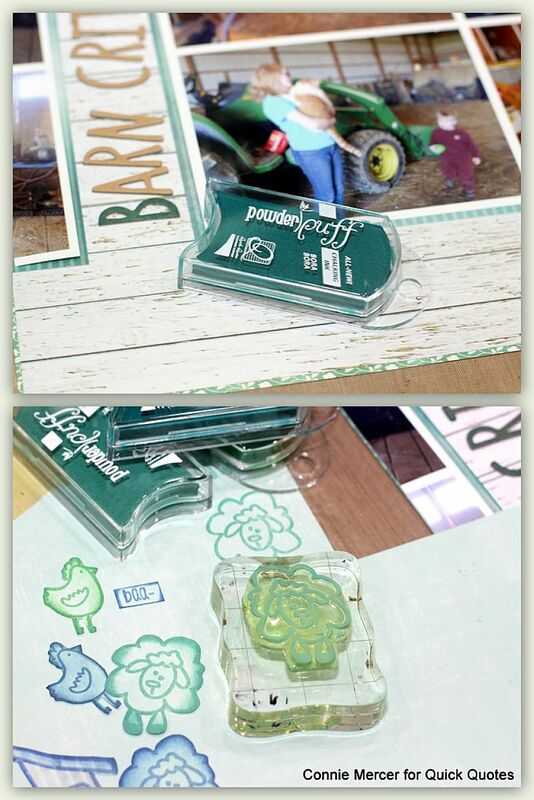 Hi, Connie here with a scrapbook page using PowderPuff Chalk Inks to stamp elements for the page. The Canon iP8720 Printer created a collage, using some of my favorite photos, for this scrapbook page. 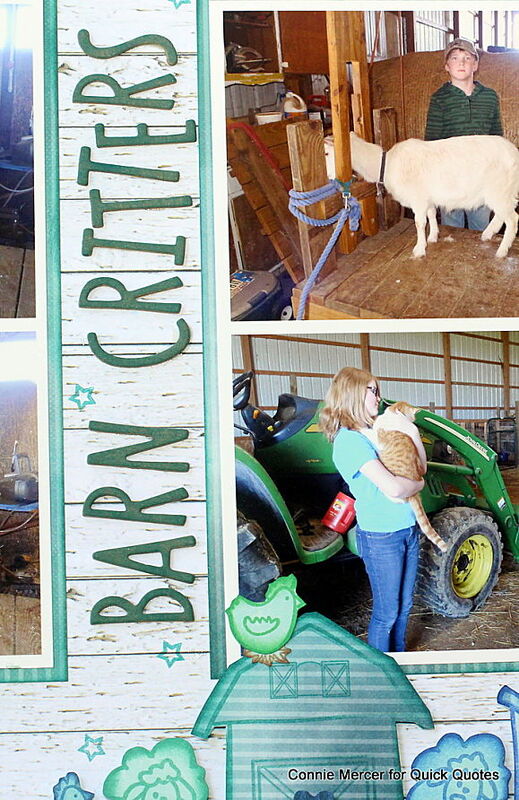 The collage was created first using the Canon iP8720 Printer. 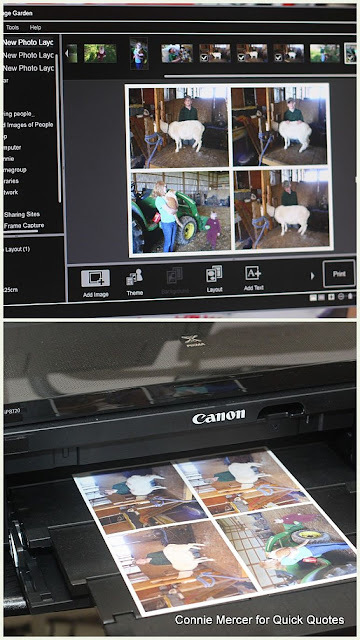 Very easy to do using the Image Garden software that comes with the printer. 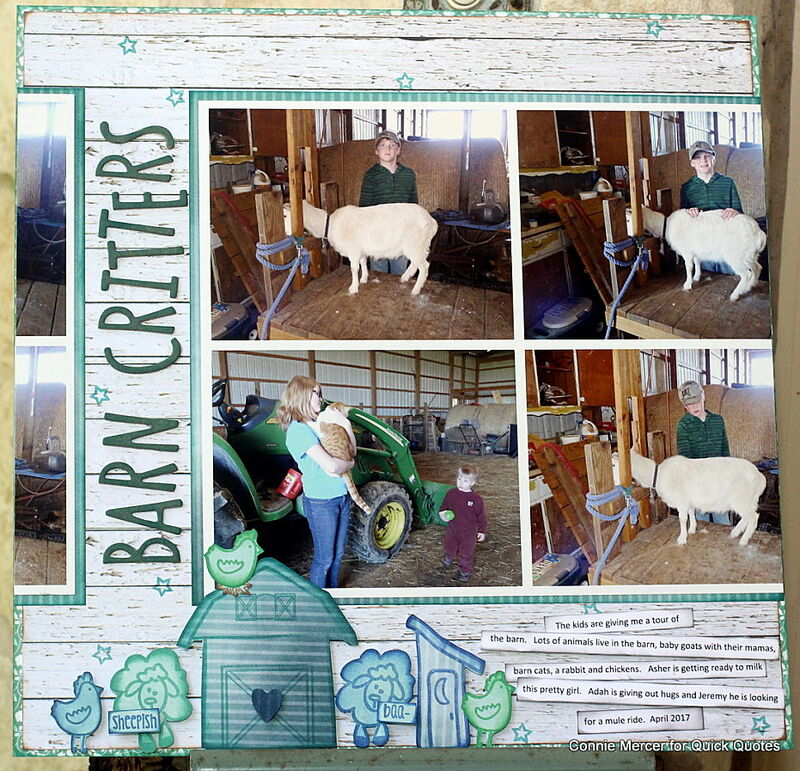 The program has templates that you can choose from, once that is done, load photos from your computer and then select the ones you want to add to the template. It really is that easy. 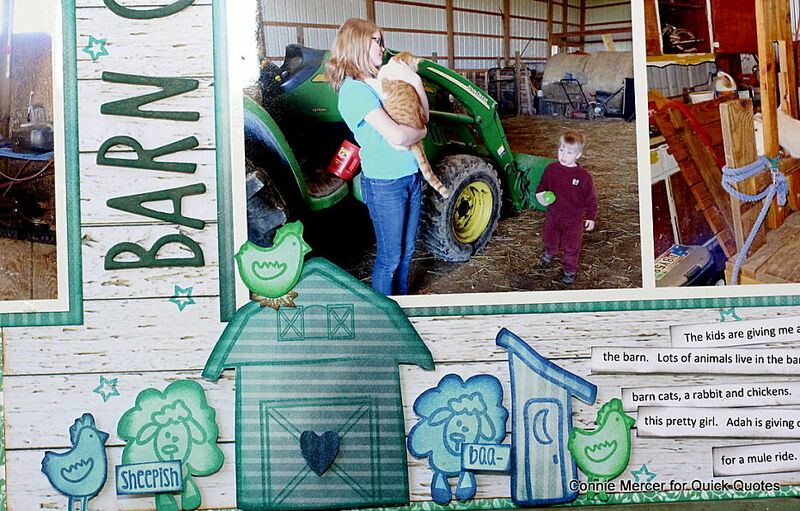 The cute barn critters are stamped embellishments created using the PowderPuff Chalk Inks. 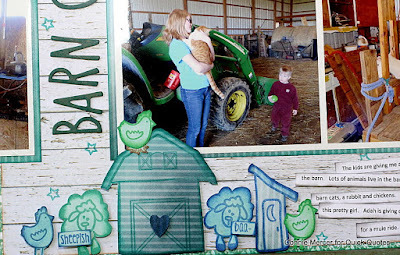 The title was colored by applying the PowderPuff Chalk Inks to the chipboard letters. So quick and easy!!! Any color becomes so easy to achieve with PowderPuff Chalk Inks!